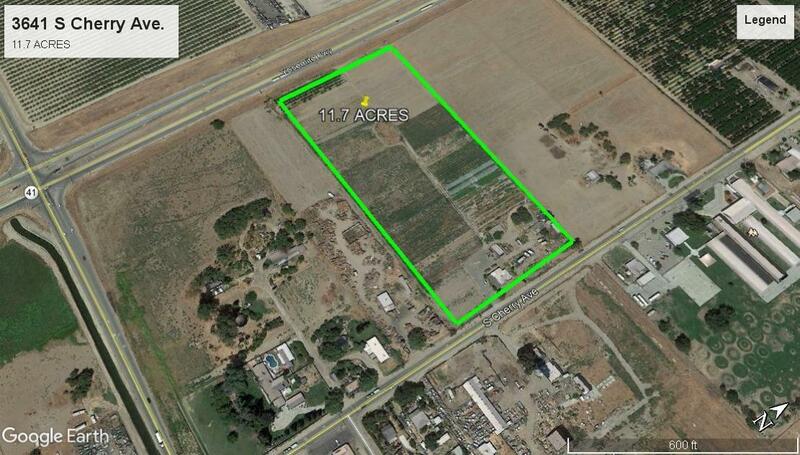 11.7 acres of prime open land for potential Industrial / Commercial development. Easily accessible from Highway 41 and Freeway 99. Property butts up against Highway 41 providing high visibility from the highway, within a 1/2 mile from the Northpointe Business Park. 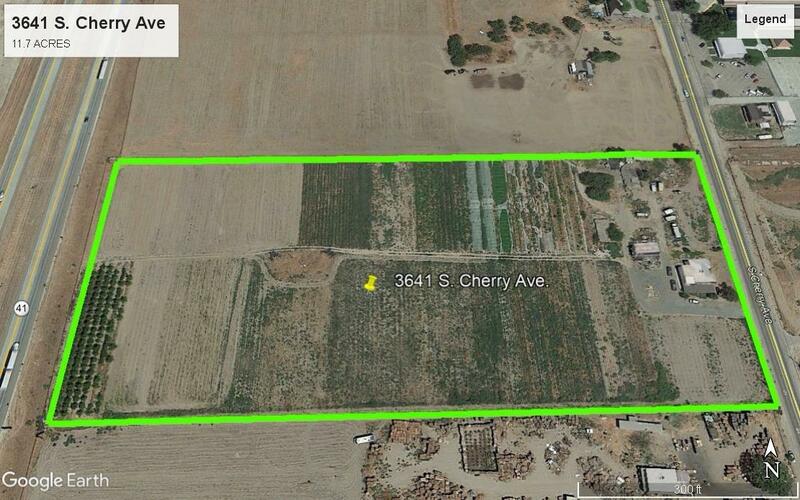 Property currently zoned Ag Rural Residence and in the County of Fresno, however the City of Fresno is currently in the process of annexing this property and the surrounding parcels on Cherry Avenue between North and Central Avenues. 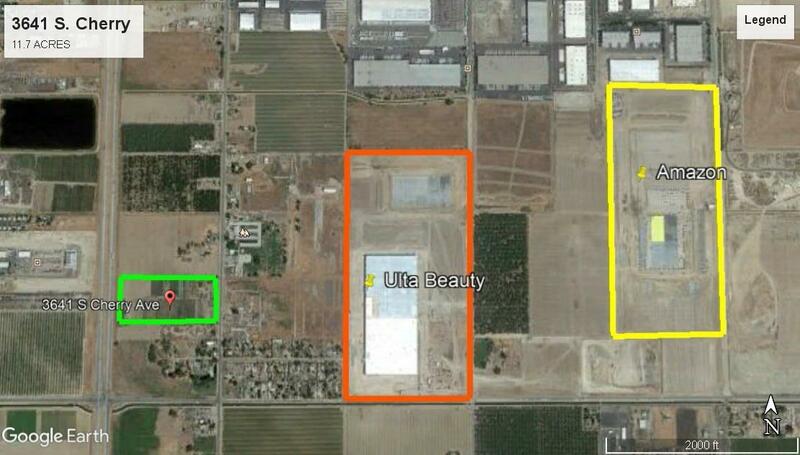 Once the annexation process is complete this site is proposed to be re zoned into M-1 zoning (buyer to verify with the City of Fresno Planning Department). This is an active transitional area with multiple large projects under construction including Amazon Fulfillment Center and Ulta Beauty. This property includes a 5 bed/1 bath home with a converted garage (unknown on permits / buyer to verify).